Product prices and availability are accurate as of 2019-04-08 04:15:30 EDT and are subject to change. Any price and availability information displayed on http://www.amazon.com/ at the time of purchase will apply to the purchase of this product. 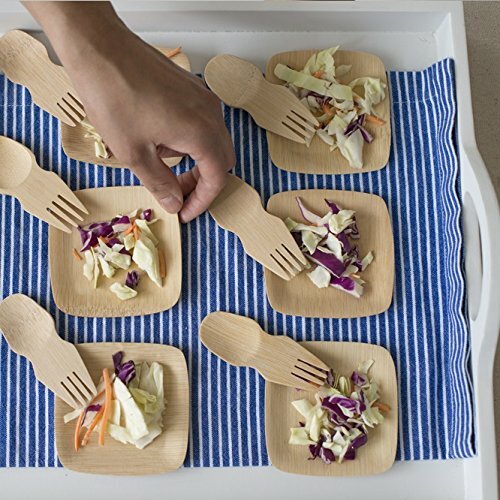 bambu designs and makes beautiful products for the kitchen, home and outdoors made from renewable, organic and recycled materials. Since 2003, bambu has been offering non-plastic, friendly products that customers love and that also reduce the impact on the planet. 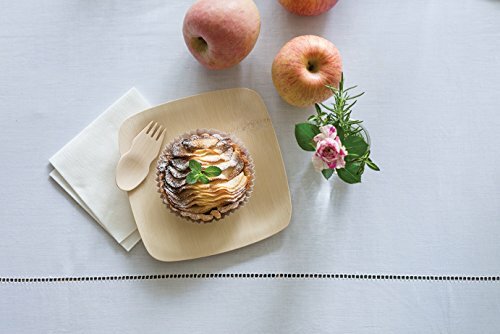 Veneerware premium quality bamboo disposable dinnerware is the only brand that is made from certified organic bamboo and is also compostable. 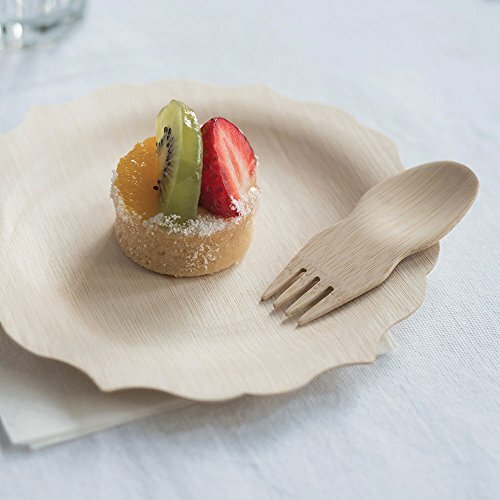 Veneerware plates, trays, flatware and sporks. Great for parties, outdoor meals, picnics, catered events, weddings, birthdays, or on-the-go. 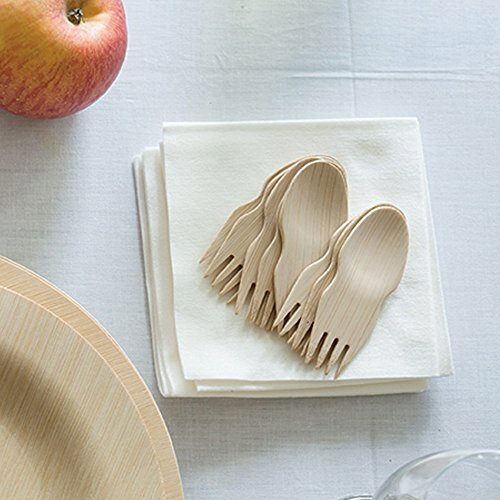 Our Veneerware bamboo Sporks are great for bit-sized portions or sampling. 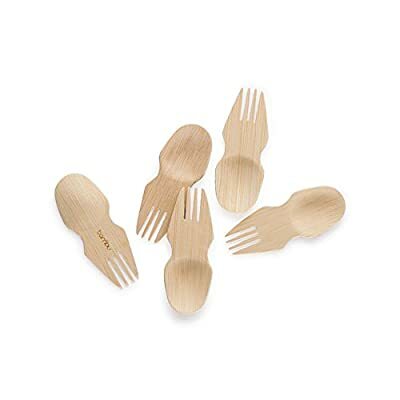 Consider our spork a fancy toothpick. Perfect for a serving a tray of appetizers. Enjoy the convenience of no clean up. 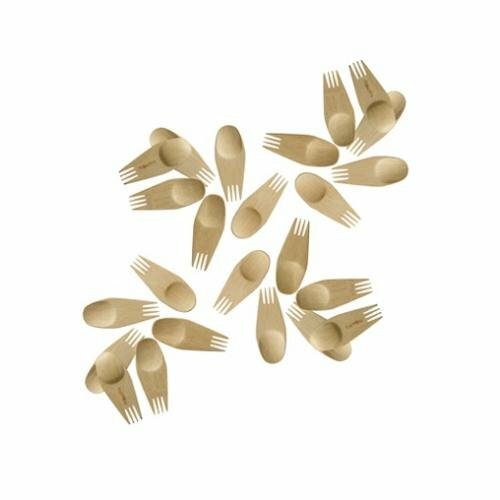 Available in packs of 24 sporks.